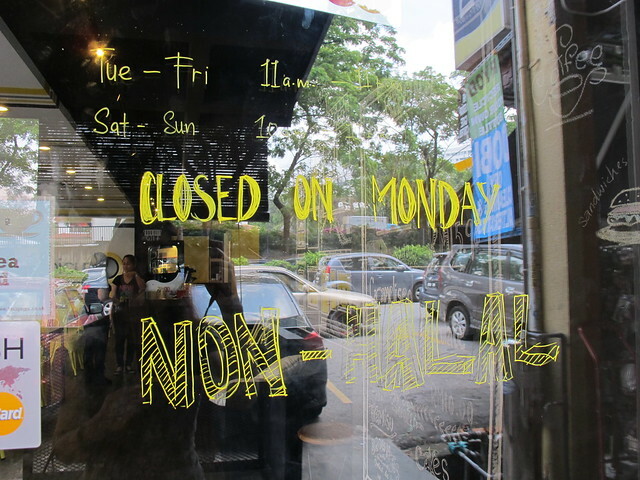 For a pursuer of porcine goodness, it’s always heart-warming to see a restaurant in Malaysia so gloriously proud of being non-halal. 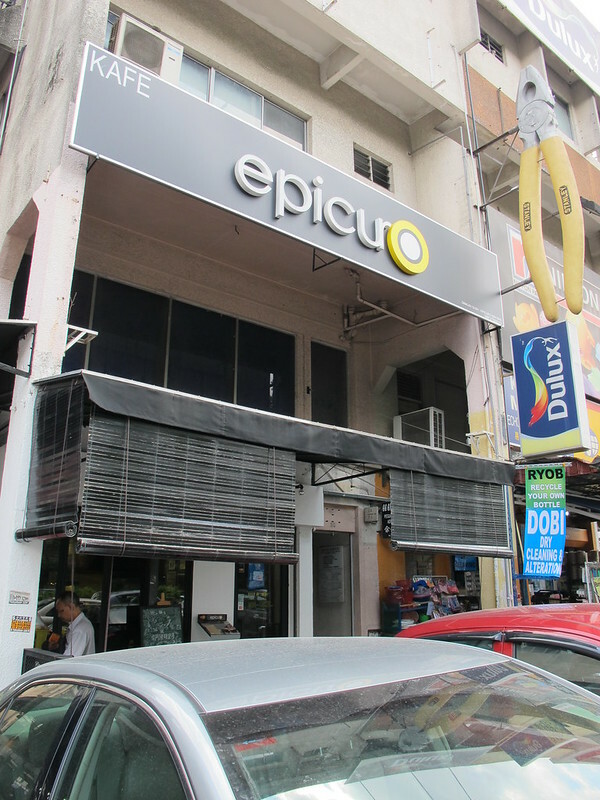 Located along the shops in Damansara Utama that face Lebuhraya Damansara-Puchong (LDP), Epicuro is one such place. Parking was expectedly difficult although we would do it all over again for the wonderful fare offered at Epicuro. Perhaps parking conditions could be better in the evening. I really like the interior of the restaurant. 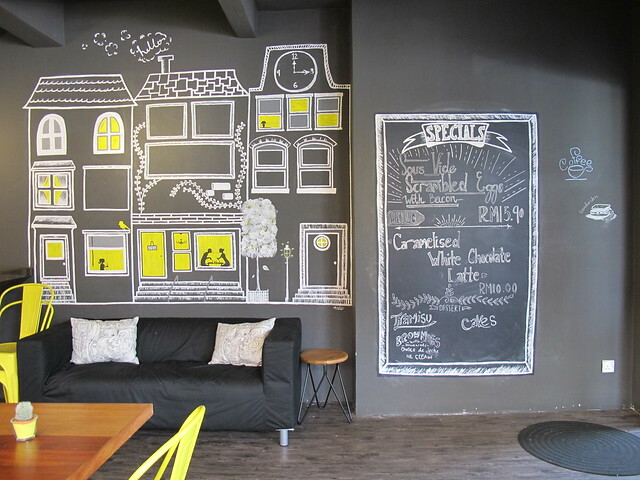 The yellow and black theme is eye-catching and modern. # – Yellow and black themed interior. # – Cute wall decorations. Hubs ordered the “Big Breakfast” which consisted of wholemeal toast, cherry tomatoes, mushrooms, pork sausages, pork bacon, hash browns and a choice of sunnyside up or scrambled. It tasted as impressive as it looked, which in truth is not an easy thing to achieve for fryups. How many times have you been served an impressive plate of fryups only to be disappointed by multitude of issues such as soggy mushrooms, tough bacons, cheap sausages and bland un-caramelised tomatoes? Everything has to be cooked to perfection and at the right temperature, something Epicuro has managed to deliver. Well done! 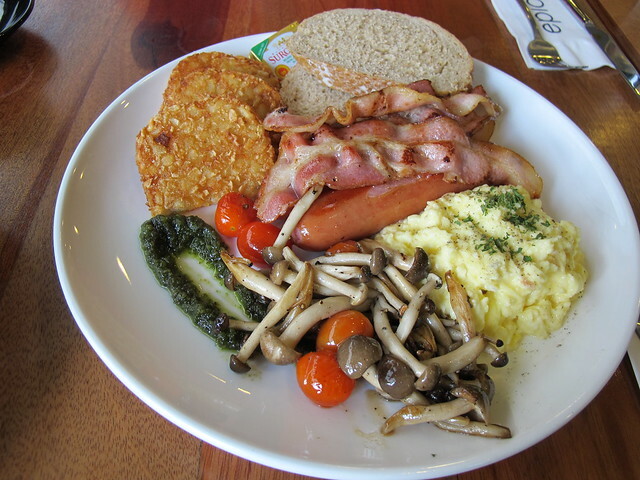 At RM21.90, the Big Breakfast is reasonably priced too. 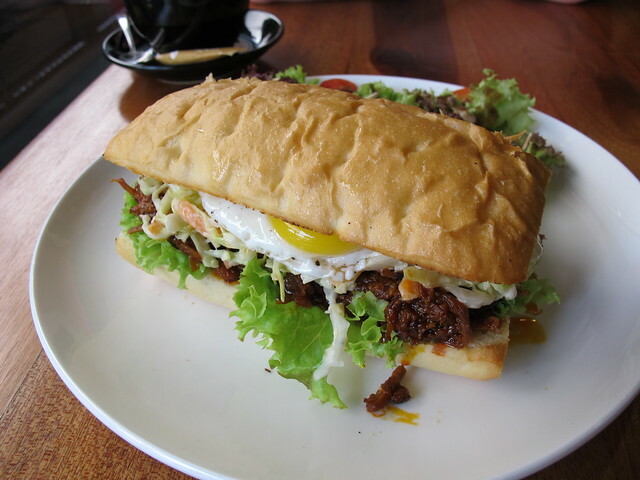 I chose the signature pulled pork sandwich with an addition of sunnyside up egg. Pulled pork is something that’s not easily pulled off too. Cooked too long and you’d get stringy, dry pork floss. Cooked too quickly and you’d get tough, barely chewable meat. Not at Epicuro though, the texture of the pulled pork was perfect – generous amount of meltingly tender pulled pork packed into toasted bread with fresh lettuce and coleslaw. If there’s anything to complain, I’d say the pulled pork was just a tad too spicy and may not bode well with some palates. 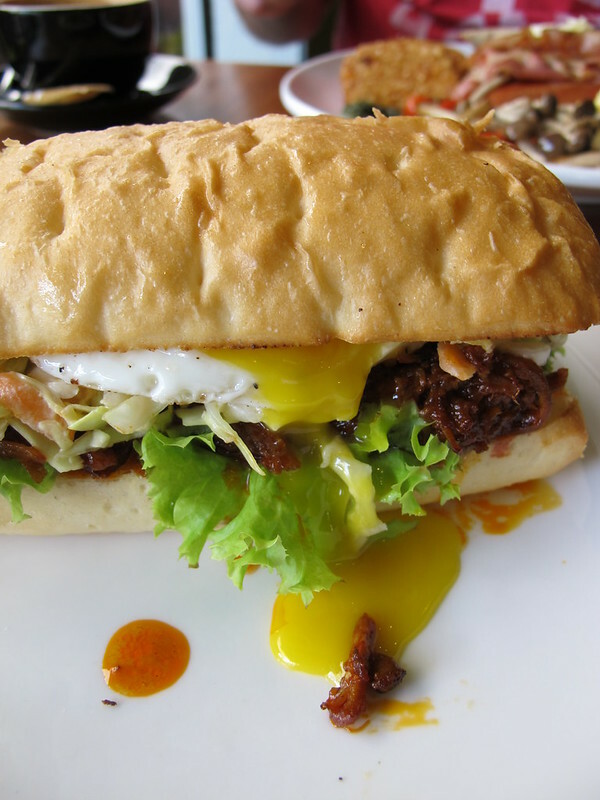 The addition of the sunnyside up does help to calm the strong flavours of the pulled pork. Mid-way through eating, a friend recommended via Instagram to try the tiramisu and so we did. 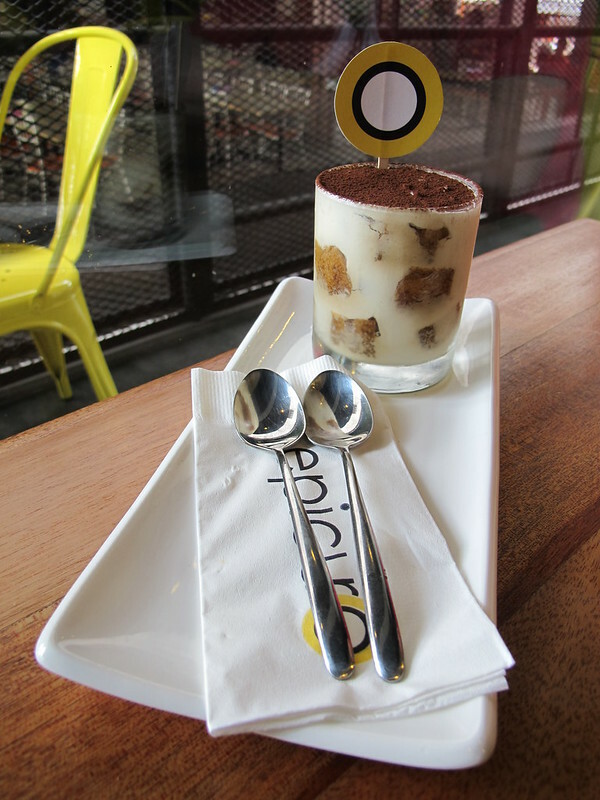 It was not a bad tiramisu at all, smooth, creamy and flavourful only perhaps lacking in some boozy kick. 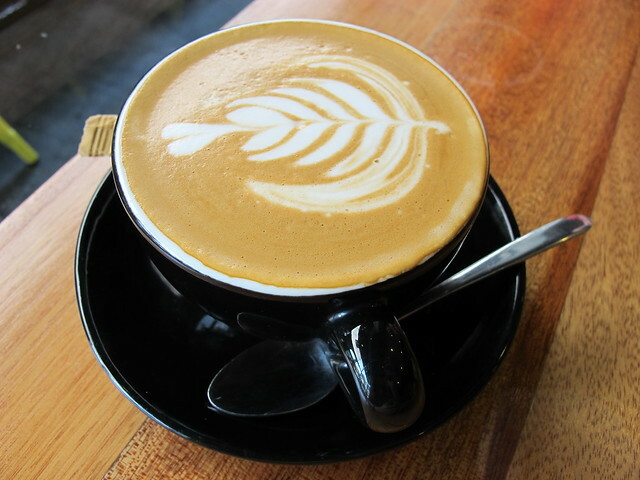 Hubs ordered a latte to go with the dessert and he enjoyed his coffee. 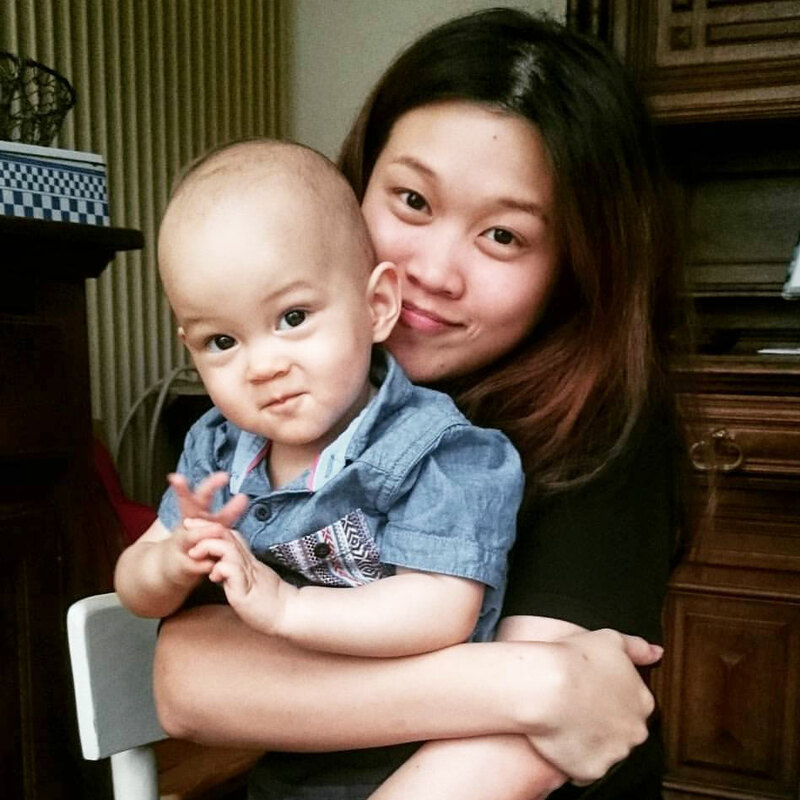 Will we go back again? Yes. 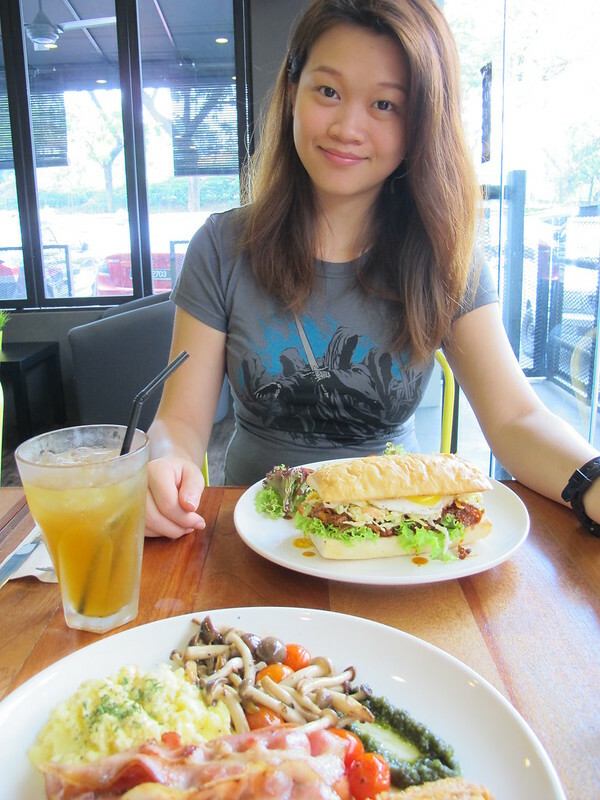 Nice environment, nice food and decent service. Agreeable pricing too. 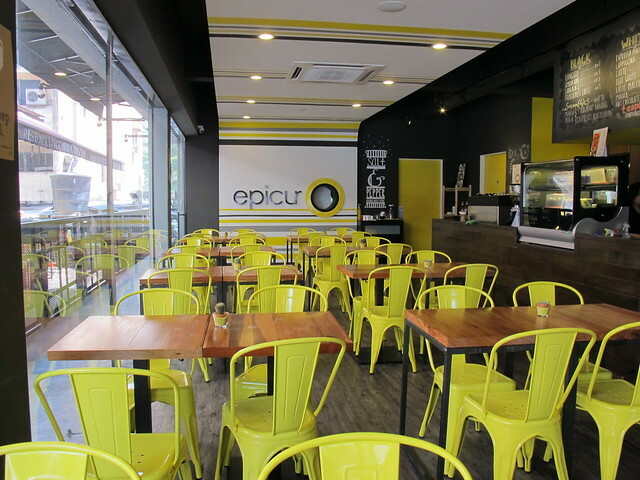 Epicuro does have quite an extensive menu and we look forward to trying out more dishes. Apparently they also serve sous vide scrambled eggs, which is very intriguing to me.